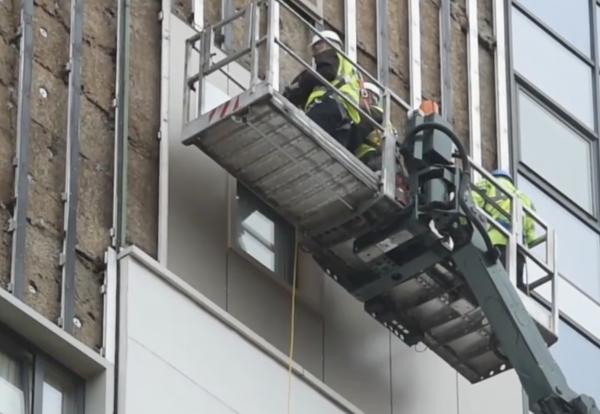 The pipeline of new-build social housing construction shrunk 4% last year as registered social landlords diverted money to repairs in the wake of the Grenfell fire according to exclusive new construction industry research from Glenigan. The study covers detailed planning applications for new-build housing made by RSLs or housing associations during 2018 and shows plans submitted for 24,164 units in 2018. Glenigan’s economics director Allan Wilén explains: “The tragic event of the Grenfell fire in June 2017 is disrupting the progress of planned developments. RSLs were already wrestling with changes to their funding model when the Grenfell tragedy occurred in June 2017. The pipeline had surged 20% in 2016 but this rise slowed to just 8% in 2017. The reverse in 2018 was due to significant falls in the number of new flats proposed by RSLs. The number of flats proposed by RSLs in detailed planning applications shrank 21% to 9,742. The retirement pipeline shrank by a quarter as plans for just 955 units were submitted by RSLs. As a result, 54.8% of the overall planning pipeline for RSLs is now comprised of some form of house. A year ago, that ratio was 46.8%. 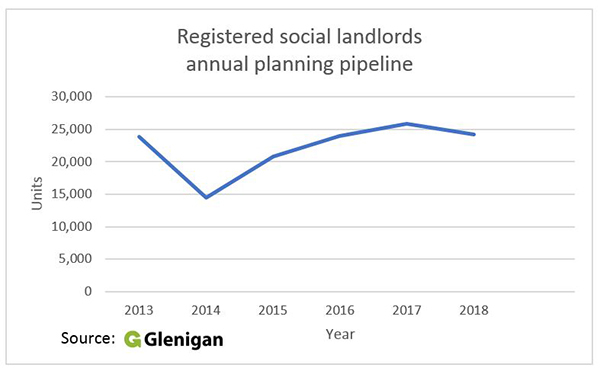 With RSLs working with new funding models and a need to assess previous work, Glenigan anticipates that the underlying value of new social housing work fell by 12% last year. This year will bring an improvement and a rise of 5% as repairs increase and student accommodation work booms, but new build homes from RSLs look unlikely to grow substantially.